Watermeisters hold Fun and Successful Halloween-Themed Open House! Watermeisters held their annual Halloween Meeting and Open house on Wednesday, October 26. 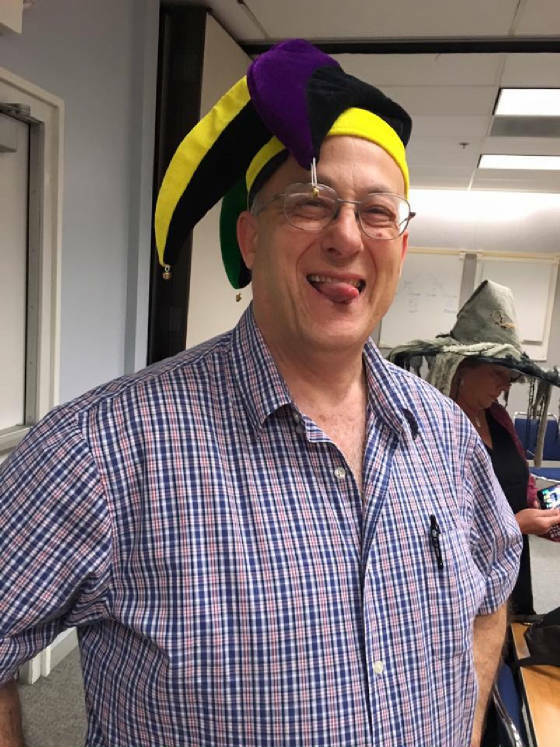 The well-attended meeting featured a humorous Trick or Treat quiz led by Lawrence Crandall, a terrifying story-add-on Table Topics, great food, and best of all, and Ice Breaker speech by our newest member, Clarice Marcin, who triumphed over her greatest fear...public speaking. Not only did Clarice do a terrific job with her first speech, she also won TABLE TOPICS! We were also happy to include a number of guests in the festivities, including our Area Director, Asad Ali. 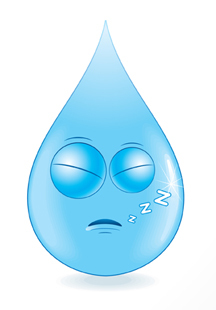 Marie Hulett to represent Watermeisters at Fall District-level Eval Contest! 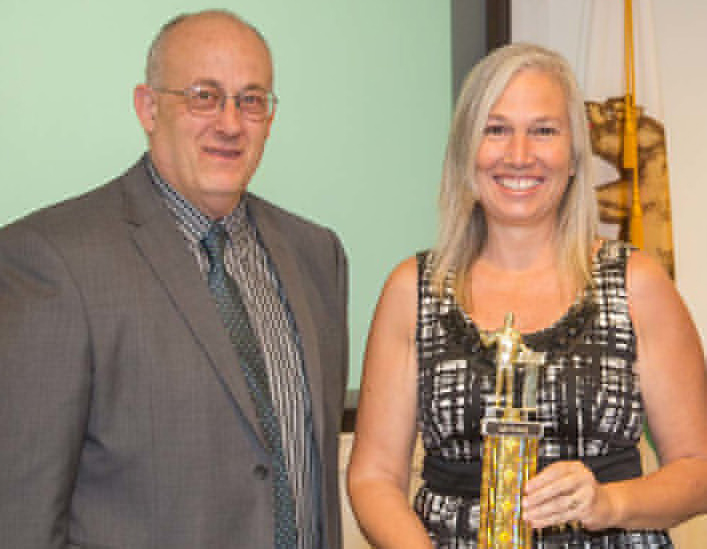 Watermeisters veteran Marie Hulett will be representing our club at the District level speech contest for the fourth time on Saturday, October 29, in Cerritos. Marie, who competed at the club level in evaluations moved up and through Area C4, and then competed at the Division level. She is excited to be moving on to the District and hopes to make the Watermeisters club proud. The District contest will begin at 8AM at the Sheraton Hotel in Cerritos, located at 12725 Center Court Drive South. If you don't mind not sleeping in on Saturday, please plan to cheer Marie on from the audience. She always appreciates her Watermeisters support. The Area C4 contest was held on Thursday, September 29 and Watermeisters had a lot to be proud of. First, Marie Hulett took home the first place trophy in evaluations and will be advancing to the Division contest on October 6. But our members were especially proud of our president, Renee Banchiere, who competed in her first contest with a humorous speech that had everyone laughing out loud. It was of a caliber quality that could have been on any standup comedy stage in the country and definitely would have taken the number one spot at the District Championships. Unfortunately, Renee went ever slightly over time. Though this was disappointing, Renee vows to return to the comedy stage and pay very close attention to the timing lights in the future. She will no doubt be bringing home MANY first place trophies because her sense of humor and timing is flawless. The Watermeisters Spring Table Topics competition was held March 5th and we had an amazing slate of competitors! In the end, after careful deliberation, the club selected Jeremy Davis as the winner and Lisa Rothbart as runner up. Jeremy will be representing Watermeisters at the Area C-5 competition coming up on March 19, 2015 at 6PM at the OCSD. Our club International speech contest was held March 11, 2015 and our big winner was Murray Schrantz. Fellow Watermeisters provided great speech feedback for him to prepare for the Area C-5 contest. Way to go Murray! Watermeister's host location, the Orange County Sanitation District recently held a huge community festival where our club had a booth and special open house. 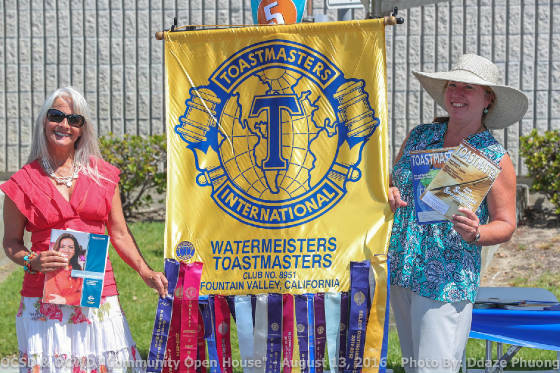 Many visitors expressed an interest in Toastmasters and joining either our club, or other local clubs that hold their meetings at times that are convenient to their schedules. it was a very successful day. 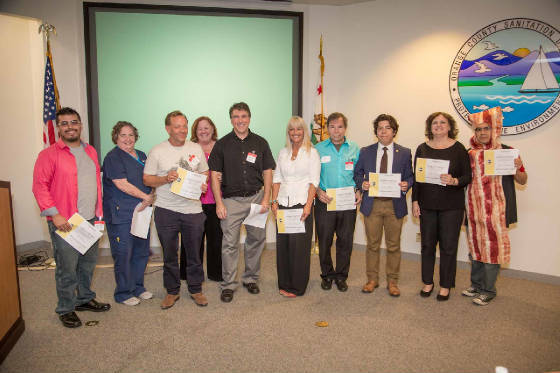 At a recent Watermeisters Club meeting, mentors assigned to new members were recognized for their participation and support. 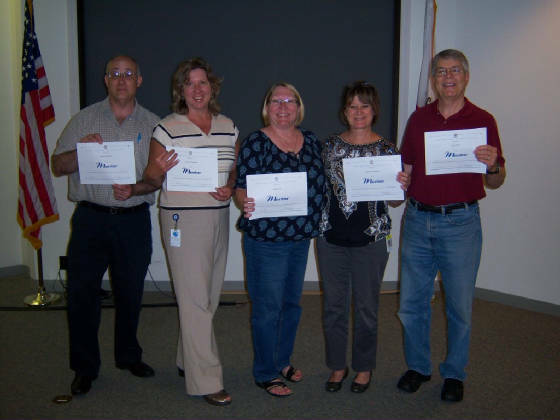 Michelle Chewning, Club President, recognized for their work and presented them with certificates. The mentoring program at Watermeisters has been a primary focus of the club for many years and a new position was recently created to help manage it. Mentoring has been essential in supporting new members by making their assimilation into the club faster and smoother. It has been a huge success for both mentors and mentees. Virtually all members, well-seasoned as well as new ones, have benefited from the relationships developed and the club has advanced and grown as a result. We are always looking for new mentors to volunteer their time in helping incoming members make the most of the Toastmasters experience. If you’d like to volunteer to become a mentor (also one of the requirements for becoming a Competent Leader) please get in touch with Murray Schrantz. I have seen new members come to meetings that are so afraid to speak when they first get started. With mentoring and reassurance they begin to gain confidence. They soon realize how supportive everyone is and that it is OK to make mistakes. Toastmasters is LEARNING by DOING. The biggest reward is seeing them have FUN and feel good about the experience. Ultimately, growing to the point where they become mentors for others - self-perpetuating! * Continue to learn - It is said "if you really want to learn something, teach it" I could not agree more! Mentees frequently start out lost, and (if they have a fear of public speaking) scared. It's valuable to give them help as early as possible. Then, once they start to feel comfortable, it's useful for them to learn what the advanced manuals can offer in terms of learning beyond the basics of the CC manual. It's quite gratifying to be a mentor because you can hear/see the progress between speech #1 and speech #5 and #10. We are always looking for new mentors to volunteer their time in helping incoming members make the most of the Toastmasters experience. Hey Watermeisters. Don't be asleep at the wheel. Send your articles and photos to Marie Hulett for our upcoming Newsletters! Click here to email me your stories!